StreetSmart leads the industry with our turnkey mobile workforce management apps. It all starts with an easy to download the mobile app. Mobile workers can use the app on their phone to track time and mileage, get dispatched job information and directions, and record job site information all on a single mobile app. 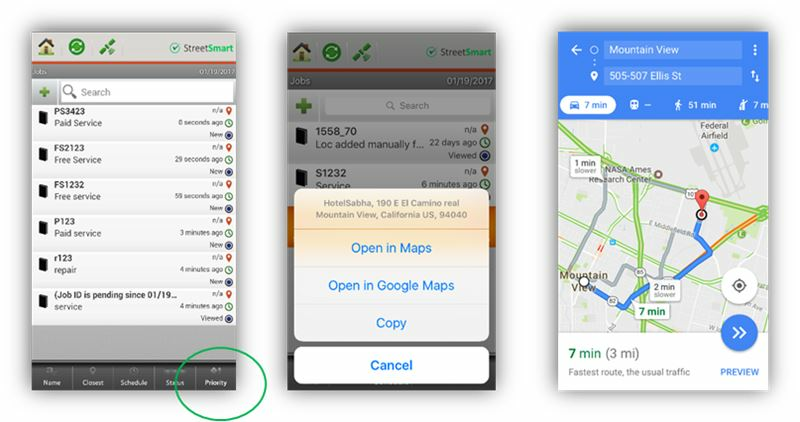 StreetSmart® Mobile Workforce App offers both single-use modules or bundled functionality to fit each businesses’ unique needs. If a business is only looking for mileage tracking or time sheets they can choose from our single solution StreetSmart Apps. Our turnkey StreetSmart Advantage solution provides a complete suite of functionality that includes Jobs & Forms, Trips, Location Tracking, Invoice, Timesheets, integration with Microsoft Office and more capabilities, Choose the specific functionality you need, or select the complete suite of turnkey mobile workforce management capabilities. 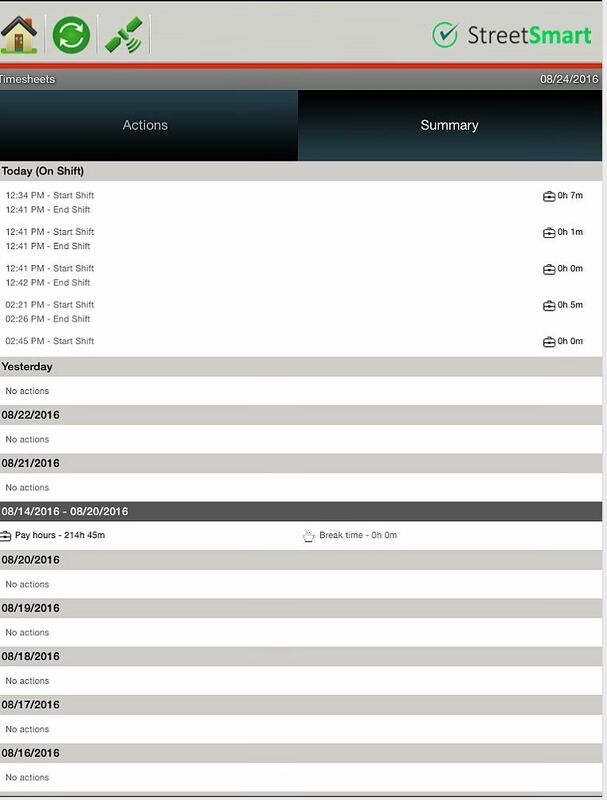 Reduce administrative time and increase visibility into mobile worker activities using the cloud-based StreetSmart Administrative application. Job dispatch and management, monitoring of employee activities and reporting is all administered from the office or a mobile tablet in the field. 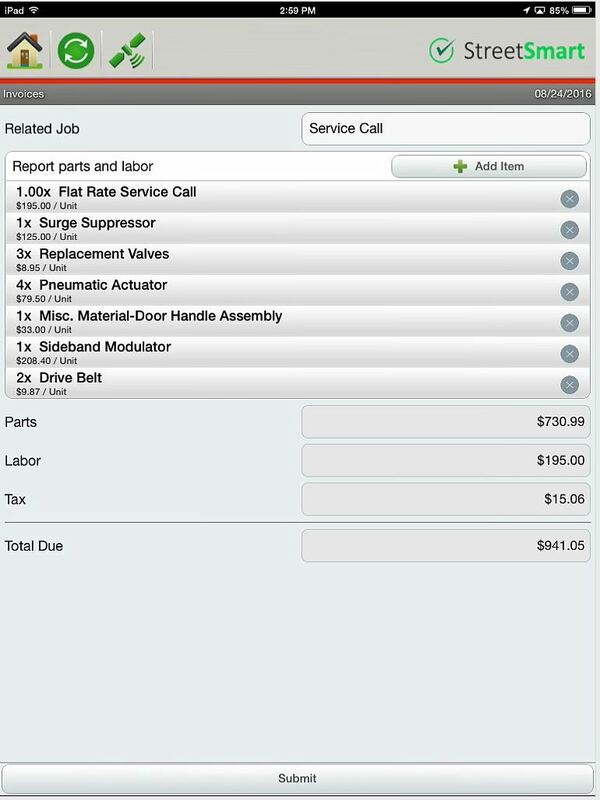 Improve customer service and measure worker productivity using Forms on the StreetSmart mobile app. Field workers can easily record information on the job site and send details of the job progress, start and end times, and completed form information. This data is automatically consolidated and sent back to the office where it can be imported into payroll, finance, and other systems. 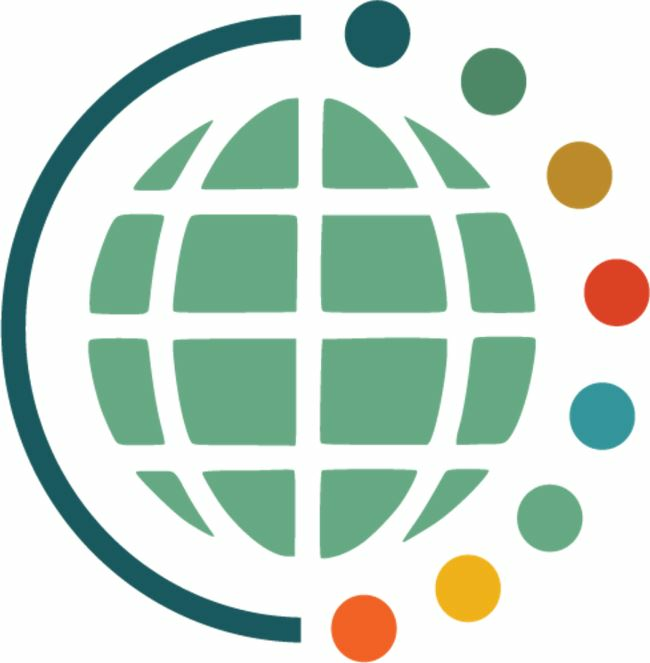 Gain visibility into mobile worker shift times and locations with this mobile app that enables field workers to clock in, record breaks, and clock out right on their mobile device. Worker shift activity is automatically sent to the StreetSmart administrative app for faster payroll processing. Improve insights into mobile worker trip details with employee, date, location, job details, and related expenses. Leverage information to optimize routes, save gas and increase productivity. Administrators can easily generate mileage reports and automatically calculate reimbursement amounts for streamlined employee expense reimbursements. StreetSmart® has set the standard for delivering the best mobile user experience with the most tested and approved devices in the mobile workforce app category. Using our SmartCertified™ quality assurance process, each mobile device is rigorously tested by our dedicated team of engineers before including on our certified device list. We work closely with major telecom and device manufacturers to guarantee that the StreetSmart app works with any of the nearly 400 mobile devices on our SmartCertified list. 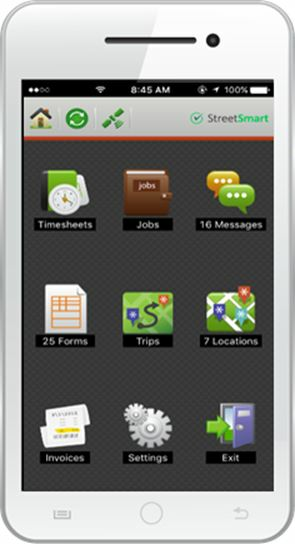 The StreetSmart Mobile Workforce Solution supports Android, iOS, Windows and Blackberry devices. StreetSmart understands the field service industry and numbers show it with 10,000 companies relying on StreetSmart every day. Each year our mobile apps process more than 24 million forms, 12 million GeoFences, 9 million jobs and 6 million shifts. Our customers save time and money while they increase productivity and improve customer satisfaction.